Denis Byrne joined the Institute in 2014 as a Senior Research Fellow specialising in heritage studies. Previously he was manager of cultural heritage research (opens in a new window)at the Office of Environment and Heritage NSW. 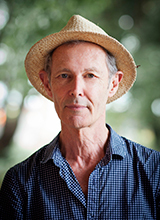 His approach to heritage studies reflects his disciplinary background in archaeology and his research experience in the cultural politics of heritage practice in Australia and Southeast Asia. His book, Surface collection: archaeological travels in Southeast Asia, along with more recent publications, extend the possibilities for writing in the fields of archaeology and heritage studies, especially in regard to the emotional and affective dimensions of our response to old things and places. His new book, Counterheritage: critical perspectives on heritage conservation in Asia (opens in a new window), calls for the heritage field to open its eyes to popular beliefs and practices in the Asian societies which provide the context for people-object relationships that often depart radically from Western expectations. The standard secular-rational approach of heritage professionals, he argues, is hopelessly inadequate to encompass old objects and places that in the eyes of religious devotees are alive with supernatural potency. Equally, campaigns by archaeologists and heritage professionals against the private collecting and 'looting' of antiquities in Asia seem blind to the ways that these objects have been assimilated into local economies of value. He is currently researching the history of travel and migration in the Australia-Asia sphere, focusing on the material traces which attest to this history and comprise its heritage footprint. These traces reflect the mobile lives and cross-border imaginaries of those who travelled, traded, laboured and loved in transnational space. As such, it calls for a heritage practice that transcends the nation-state frame. What is compelling about the topic of transnational heritage is the immediacy of its relevance to Australia's present and future. 2014: Invited by the Peruvian Ministry of Culture and the Congressional Commission on Cultural Patrimony to address conferences in Cusco and Lima and take part in roundtables on the drafting of a new heritage laws for Peru, which for the first time will recognise indigenous heritage interests. 2011: Visiting fellow at the Department of Archaeology, University of York, UK. 2009: John Mulvaney Book Award, for Surface Collection: Archaeological Travels in Southeast Asia. 2004: Conservation Guest Scholar at the Getty Conservation Institute, Los Angeles, researching and writing on the interplay of popular religion and heritage in China and Southeast Asia. Byrne, D 2014, Counterheritage: critical perspectives on heritage conservation in Asia (opens in a new window), Routledge, New York & London. Brockwell, S, O'Connor, S & Byrne, D (eds) 2013, Transcending the culture-nature divide in cultural heritage: views from the Asia-Pacific region, Terra Australis 36, ANU Press, Canberra. Byrne, D 2007, Surface collection: archaeological travels in the Southeast Asia, AltaMira Press, Lanham, MD. Byrne, D 2018, 'Under a volcano: a journey through ruin and regeneration in Bali', in H Saul & E Waterton (eds), Affective geographies of transformation, exploration and adventure: rethinking frontiers, Routledge, Abingdon & Oxon, pp. 49-64. Byrne, D 2018, ‘Reclaiming landscape: coastal reclamations before and during the Anthropocene’, in P Howard, I Thompson, E Waterton & M Atha (eds), The Routledge companion to landscape studies: 2nd edition, Routledge, Abingdon & Oxon, pp. 277-287. Byrne, D 2017, 'Museums, religious objects and the flourishing domain of the supernatural in modern Asia', in B Plate, G Bugge & C Paine (eds), Religion in museums, Bloomsbury Academic, London, pp. 71-79. Byrne, D 2017, 'Encountering migration heritage in a national park', in H Silverman, E Waterton & S Watson (eds), Heritage in action: making the past in the present (opens in a new window), Cham, Switzerland, Springer, pp. 91-103. Byrne, D & Ween, GB 2015, 'Bridging the culture-nature divide in heritage practice', in L Meskell (ed. ), Global heritage: a reader (opens in a new window), Wiley Blackwell, London, pp. 94-111. Byrne, D 2015, 'Shalimar', in S Brown, A Clarke & U Frederick (eds), Object stories (opens in a new window), Left Coast Press, Walnut Creek, CA, pp. 57-64. Byrne, D 2014, 'Affect and empathy: thinking about the power of material things to move visitors', in P Ashton & JZ Wilson (eds), Silent system: forgotten Australians and the institutionalisation of women and children, Australian Scholarly Publishing, Melbourne, pp. 71-80. Byrne, D & Goodall, H 2014, 'Counter-mapping and migrancy on the Georges River', in J Schofield (ed. ), Who needs experts? : Counter-mapping cultural heritage, Ashgate, London, pp.77-91. Byrne, D 2013, 'The WCPA's Natural Sacred Sites Taskforce: a critique of conservation biology's view of popular religion', in S Brockwell, S O'Connor & D Byrne (eds), Transcending the culture-nature divide in cultural heritage: views from the Asia-Pacific region, Terra Australia 36, ANU Press, Canberra, pp. 157-169. Byrne, D, Brockwell, S & O'Connor, S 2013, 'Introduction: engaging culture and nature', in S Brockwell, S O'Connor & D Byrne (eds), Transcending the culture-nature divide in cultural heritage: views from the Asia-Pacific region, Terra Australia 36, ANU Press, Canberra, pp. 1-10. Byrne, D 2013, 'Looking for difference in the Aboriginal contemporary past', in R Harrison, P Graves-Brown & A Piccini (eds), Oxford handbook of the archaeology of the contemporary past, Oxford University Press, Oxford. Byrne, D 2013, 'Days in Hong Kong, May 2011', in A Gonzalez Ruibal (ed. ), Reclaiming archaeology: beyond the tropes of modernity, Routledge, London. Byrne, D 2013, 'Gateway and garden: a kind of tourism in Bali', in R Staiff & R Bushell (eds), Heritage tourism: place, encounter, engagement, Routledge, London, pp. 26-44. Byrne, D 2012, 'Anti-superstition: campaigns against popular religion and its heritage in Asia', in P Daly & T Winter (eds), Routledge handbook of heritage in Asia, Routledge, London, pp. 295-310. Byrne, D 2011, 'Thinking about popular religion and heritage', in JN Miksic, GY Goh & S O'Connor (eds), Rethinking cultural resource management in Southeast Asia: preservation, development, and neglect, Anthem Press, London, pp. 3-14. Byrne, D 2010, 'Nervous landscapes: race and space in Australia', in P Edmonds & T Banivarua Mar (eds), Making space, Palgrave Macmillan, Hounmills, England, pp. 103-128. [Revised version of 2003 article in the Journal of Social Archaeology]. Byrne, D 2010, 'The enchanted earth: numinous sacred sites', in B Verschuuren & R Wild (eds), Earth: nature, culture and the sacred, Earthscan, London, pp. 53-61. Byrne, D 2009, 'The fortress of rationality: archaeology and Thai popular religion', in L Meskell (ed. ), Cosmopolitan archaeologies, Duke University Press, Durham, NC, pp. 68-88. Byrne, D 2009, 'A critique of unfeeling heritage', in L Smith & N Akagawa (eds), Intangible heritage, Routledge, London, pp. 229-252. Byrne, D 2008, 'Heritage conservation as social action', in G Fairclough, R Harrison, J Jameson & J Schofield (eds), The cultural heritage reader, Routledge, London, pp. 149-73. Byrne, D 2008, 'Counter-mapping in the archaeological landscape', in B David & J Thomas (eds), Handbook of landscape archaeology, Left Coast Press, Walnut Creek, CA, pp. 609-616. Byrne, D 2005, 'Messages to Manila', in I Macfarlane, R Paton & M-J Mountain (eds), Many exchanges: archaeology, history, community and the work of Isabel McBryde, Aboriginal History Inc, Canberra, pp. 53-62. Byrne, D 2004, 'Archaeology in reverse', in N Merriman (ed. ), Public archaeology, Routledge, London, pp. 240-254. Byrne, D 2001, 'An archaeology of attachment', in R Harrison & C Williamson (eds), After Captain Cook: the archaeology of the recent Indigenous past in Australia, Altamira Press, Walnut Creek, CA, pp. 135-146. Byrne, D 1998, 'Intramuros's return,' republished in M Fraser (ed. ), Seams of light: best Antipodean essays, Allen & Unwin, Sydney, pp. 88-118. Byrne, D 2019, ‘Divinely significant: towards a post-secular approach to the materiality of popular religion in Asia’ (opens in a new window), International Journal of Heritage Studies, DOI: 10.1080/13527258.2019.1590447. Byrne, D 2018, 'Time on the waterline: coastal reclamations and seawalls in Sydney and Japan' (opens in a new window), Journal of Contemporary Archaeology, vol. 5, no. 1, pp. 53-65. Byrne, D 2017, ‘Stories from the sandstone: quarantine inscriptions from Australia's immigrant past by Peter Hobbins, Ursula K. Frederick and Anne Clarke’, Archaeology in Oceania, vol. 52, no. 3, pp. 199-200. Byrne, D 2017, 'Remembering the Elizabeth Bay reclamation and the Holocene sunset in Sydney Harbour' (opens in a new window), Environmental Humanities, vol. 9, no. 1, pp. 40-59. Byrne, D 2016, 'What anchors the Tu Do', Journal of Contemporary Archaeology, Special Issue on Archaeologies of Forced and Undocumented Migration (opens in a new window), vol. 3, no. 2. pp. 279-285. Byrne, D 2016, 'The need for a transnational approach to the material heritage of migration: The China–Australia corridor' (opens in a new window), Journal of Social Archaeology, pp. 1-25, DOI: 10.1177/1469605316673005. Byrne, D 2016, 'Heritage corridors: transnational flows and the built environment of migration' (opens in a new window), Journal of Ethnic and Migration Studies, DOI: 10.1080/1369183X.2016.1205805. Byrne, B 2016, 'The problem with looting: an alternative view of antiquities trafficking in Southeast Asia', Journal of Field Archaeology, vol. 41, no. 3, pp. 344-354. Byrne, D & Goodall, H 2013, 'Placemaking and transnationalism: migrant experiences in a Sydney national park' (opens in a new window), Parks, vol. 19, no. 1, pp. 63-72. Byrne, D 2013, 'Love and loss in the 1960s', International Journal of Heritage Studies, vol. 19, no. 6, pp. 596-609. Byrne, D 2011, 'Archaeological heritage and cultural intimacy: an interview with Michael Herzfeld', Journal of Social Archaeology, vol. 11, no. 2, pp. 144-157. Byrne, D, Goodall, H, Wearing, S & Cadzow, A 2006, 'Enchanted parklands', Australian Geographer, vol. 37, no. 1, pp. 103-115. Byrne, D 2004, 'Beyond partnership: social significance, Indigenous people and heritage management', Museum International, no. 224, pp. 89-97. Byrne, D 2004, 'Chartering heritage in the postmodern world', Conservation (The Getty Conservation Institute Newsletter), vol. 19, no. 2, pp. 16-19. Byrne, D 2003, 'Nervous landscapes: race and space in Australia', Journal of Social Archaeology, vol. 3, no. 2, pp. 169-193. Byrne, D 2003, 'Segregated landscapes: the heritage of racial segregation in New South Wales', Historic Environment, vol. 17, no. 1, pp. 13-17. Byrne, D 2003, 'The ethos of return: erasure and reinstatement of Aboriginal visibility in the Australian historical landscape', Historical Archaeology, vol. 37, no. 1, pp. 73-86. Byrne, D 1999, 'Traces of '65: sites and memories of the post-coup killings in Bali,' UTS Review, vol. 5, no. 1, pp. 36-52. Byrne, D 1999, 'The nation, the elite, and the Southeast Asian antiquities trade, with special reference to Thailand,' Conservation and Management of Archaeological Sites, vol. 3, pp. 145-153. Byrne, D 1998, 'The archaeology of disaster,' Public History Review, vol. 5/6 (1996-7), pp. 17-29. Byrne, D 1996, 'Deep nation: Australia's acquisition of an Indigenous past', Aboriginal History, vol. 20, pp. 82-107. Byrne, D 1995, 'Buddhist Stupa and Thai social practice', World Archaeology, vol. 27, no. 2, pp. 266-81. [Anthologised in S Sullivan & R Mackay (eds), Archaeological sites: conservation and management (2013)]. Byrne, D 2017, 'Raising seawalls in Japan' (opens in a new window), The Seed Box Blog. Byrne, D, Goodall, H & Cadzow, A 2013, Place-making in national parks (opens in a new window), University of Technology Sydney and the Office of Environment and Heritage NSW, Sydney. Byrne, D & Nugent, M 2004, Mapping attachment: a spatial approach to Aboriginal post-contact heritage (opens in a new window), Department of Environment and Conservation (NSW), Sydney. Dr Denis Byrne talks to ICS about his latest book, Counterheritage: critical perspectives on heritage conservation in Asia. Read the interview.